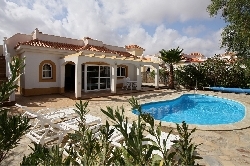 VILLAS AND APARTMENTS TO RENT IN CALETA DE FUSTE, FUERTEVENTURA, SPAIN. 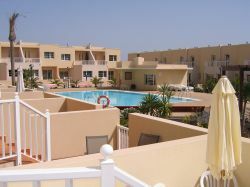 Welcome to our selection of holiday homes to rent in Caleta de Fuste, Spain. Caleta de Fuste, one of the major tourist towns on Fuerteventura, is ideal for those who wish to have a relaxing holiday. 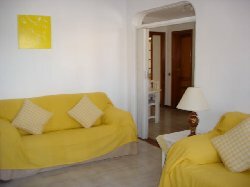 There are many holiday apartments and villas in Caleta de Fuste that have been built around a large bay which protects the beach from the sea making for very safe bathing. Caleta de Fuste is very much a town for couples and families, more laid back, quiet, relaxing and less bustling than its larger louder counterpart Corralejo. 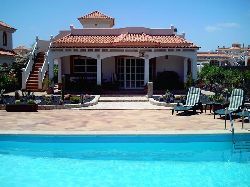 Looking for self catering holiday accommodation in Caleta de Fuste? 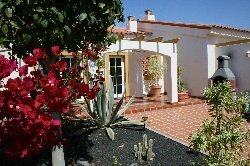 Then below is a selection of holiday apartments in Caleta de Fuste and holiday villas in Caleta de Fuste that can be rented direct from their owners. You can either click on each listing for further details or you can use our search engine on the left if you are looking for something in particular.